Dekel Capital, a Los Angeles-based real estate merchant bank that specializes in sourcing and placing equity and debt for active middle market commercial real estate developers and investors, today announced it recently arranged financing on behalf of Moonwater Capital, founded by Ofir Hagay, for the acquisition of 444,194 SF across seven different buildings in the West and South Las Vegas submarkets. 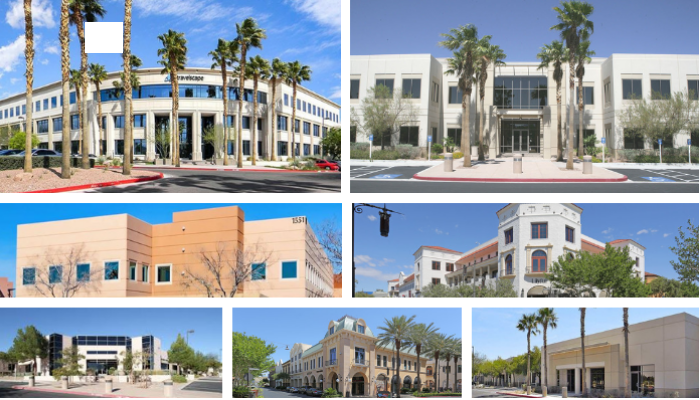 The combined portfolio provides one of the last large blocks of significant value add Class A office space within Las Vegas and positions Moonwater Capital as the market leader in the office market in Las Vegas. Included in this total is a condominium interest in 133,381 SF within Town Square, one of Las Vegas’s premier mixed use developments, which includes 352K SF of office space and over 800K SF of retail space. Also included is 310,813 SF split between five buildings in the prestigious Summerlin submarket. Established anchor tenants include Expedia, CVS, Diamond Resorts, Chamberlain School of Nursing, and Shift4 Payments. Dekel Capital has now sourced a total of $171M of equity and debt for Moonwater Capital over the past twelve months, for the purchase and stabilization of a total of 734,000 SF of class A office space within Las Vegas. These acquisitions coincide with continued strengthening of the fundamentals in the Las Vegas office market where vacancy rates are on a downward trend and office rents are on an upward trend. The capitalization of this transaction consisted of an $82.8M floating rate senior loan from Prime Finance, with a term of up to five years. Dekel also sourced $21M equity from a publicly traded REIT. In addition to funding the acquisition, this financing will enable Moonwater to complete the lease up of 184K SF within the portfolio that was vacant at acquisition.